This week marks the launch of To Die For Lemon Loaf. I sincerely hope you love it. I do. With crunchy organic millet and light organic coconut milk (in place of milk), it’s definitely not your ‘grandma’s lemon loaf’. Pick a name for your group of five people (eg. 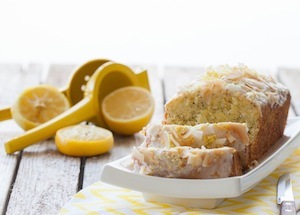 name of your office) and have all members tweet to me (@erinireland) that they’d like to try the new To Die For Lemon Loaf. Include the hashtag #TDFLemonLoaf in your tweets. Once I receive your five tweets, I’ll let you know via Twitter and we’ll sort out the details from there. Offer stands while supplies last.